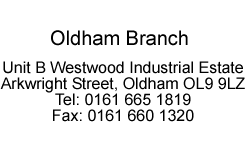 Formed in 1985, Monarch Metals Ltd started out in the Monarch Mill in Oldham, hence our name! The mill's long gone and is now the site of a modern housing estate. 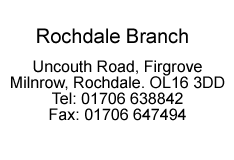 After relocating to Arkwright Street, we quickly expanded, opening our next site on Uncouth Road, Rochdale. Nearly 30 years on, we are still family owned and run with our next generation running hand on day to day activities at both sites. We pride ourselves at keeping our business on a friendly level, still dealing with clients and their children from those early days. For all your requirements, give either Jason at Rochdale or Heath at Oldham a call on the numbers below. We offer delivery and collection of our own "Roll Off Roll On" skips for those of you who produce scrap as part of you business, be it engineering companies who consistently produce the same type of scrap or demolition companies for example who wish to recycle the waste form demolition sites. 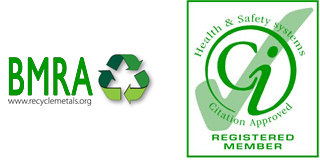 If you think we might be able to assist you, we probably can! We also offer the smaller scrap bins for those of you who consistently produce scrap metal but don't want a big skip blocking half your premises! Whatever you requirements, we're here to help. Give us a call to discuss your needs.